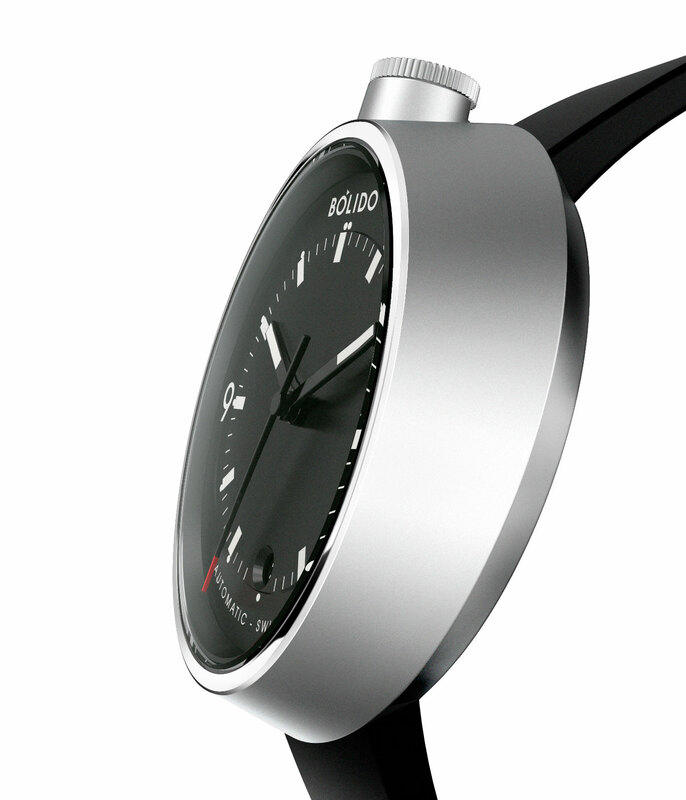 A watch design star of the 1990s returns as an affordable, crowdfunded wristwatch. Priced at just over US$400 for early backers, the Bólido is the result of a collaboration between Pierre Nobs and Simon Husslein. Given the pair’s backgrounds – Nobs founded Ventura and Husslein designed watches for it – the Bólido unsurprisingly combines strong aesthetics with a solidly constructed monocoque case. 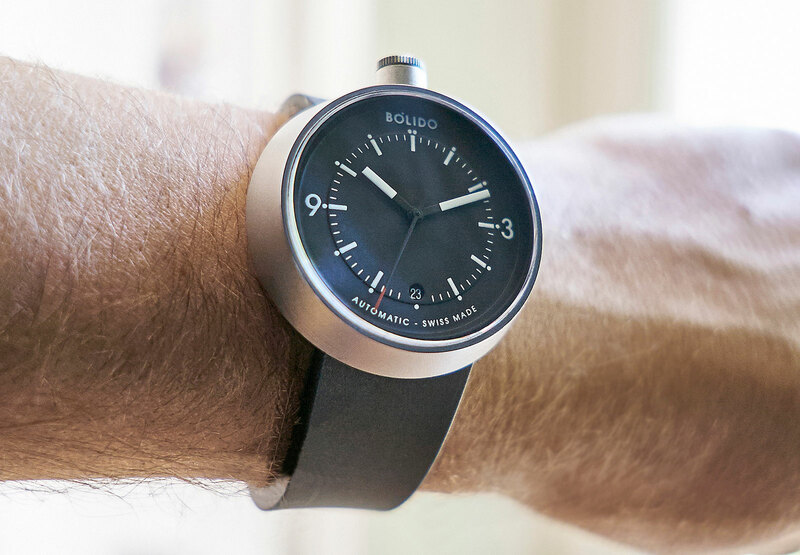 Unlike the average Kickstarter wristwatch, the team behind Bólido has a significant track record in the business. Nobs founded Ventura in 1989, turning it into a design star of the 1990s by recruiting noted European industrial designers, most prominently Hannes Wettstein and Flemming Bo Hansen, to style its minimalist watches, which also boasted hardened titanium or steel cases, a remarkably unusual combination at the time. The first Ventura wristwatch, a digital timepiece designed by Hansen, ended up in the permanent collection of MoMA in New York. But an early 2000s push into more advanced digital watches along with a change in ownership did not go well, and Ventura went bankrupt several times. Now Nobs has teamed up with Husslein, who once worked at Hannes Wettstein’s design studio penning watches for Nomos and Braun, to create a watch that’s slightly reminiscent of Ventura but significantly more affordable. 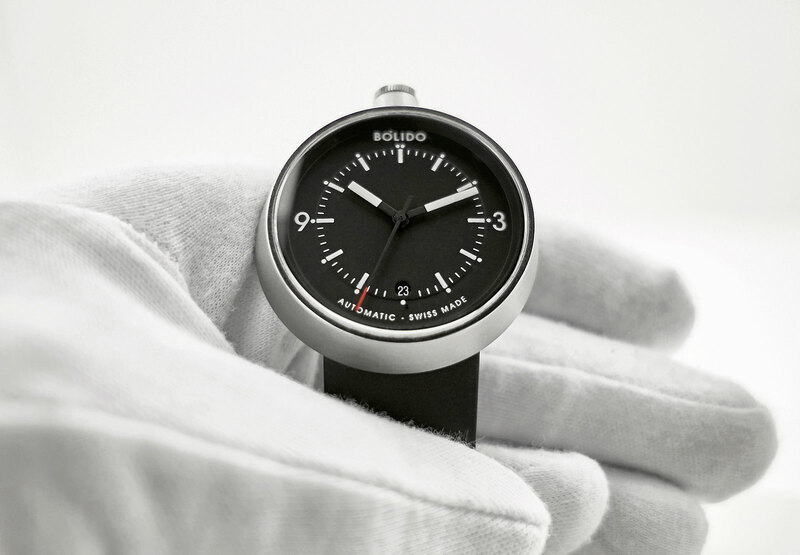 The one-piece case of the Bólido is 43mm in diameter with the face sitting slightly angled towards the wearer for better legibility,with the case is thicker at 12 o’clock than it is at six o’clock. Made of stainless steel, the case is one-piece, with the movement and dial installed from the front. The simple construction as well as streamlined manufacturing – it’s made with CNC machines that machine and finish the surface simultaneously – lower the cost of production. Both crystals on the front and back are sapphire, with the rear revealing the ETA 2824 inside. 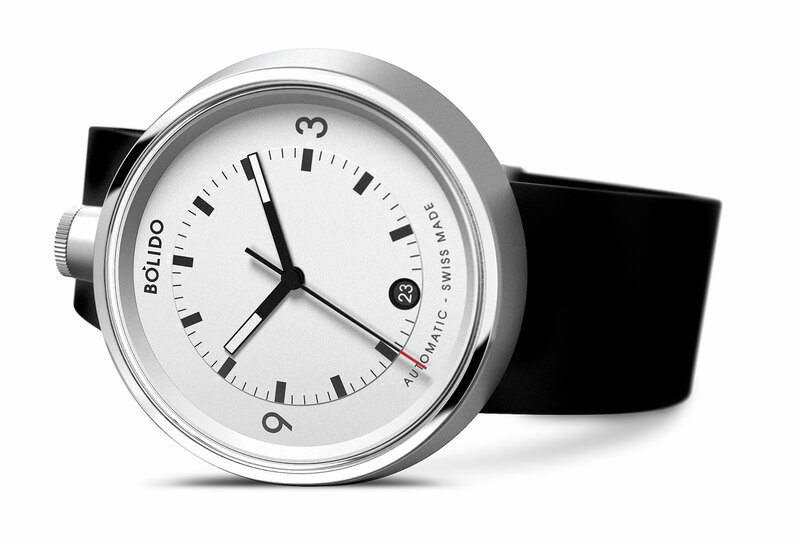 Plain and functional, the dial is designed for easy reading. Five colours are available: grey, red, yellow, black and white. The Bolido is delivered on a rubber strap. 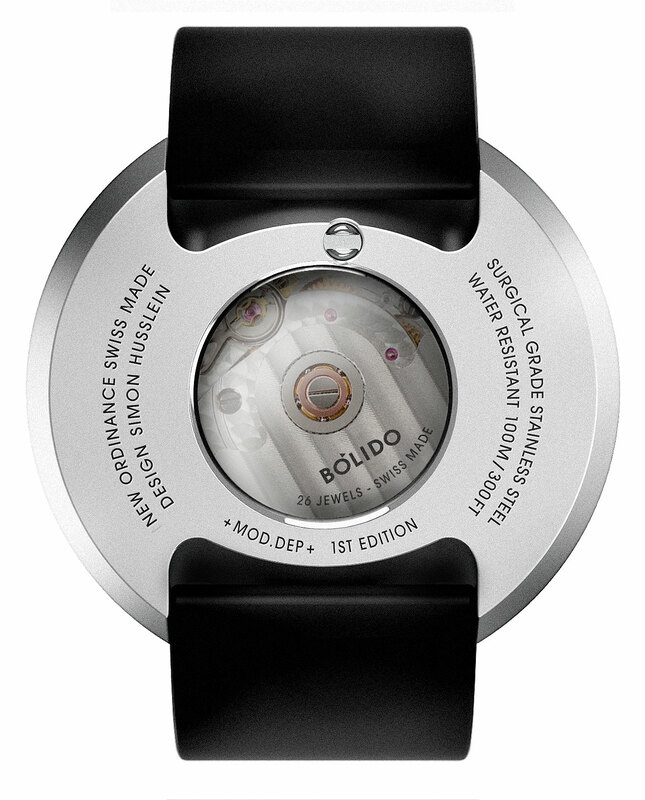 The Bolido costs US$430 for a single watch, with orders of multiple watches bringing the price down to US$390. Deliveries are expected in September 2017. It is available on Kickstarter, with the project already having raised almost twice the target. 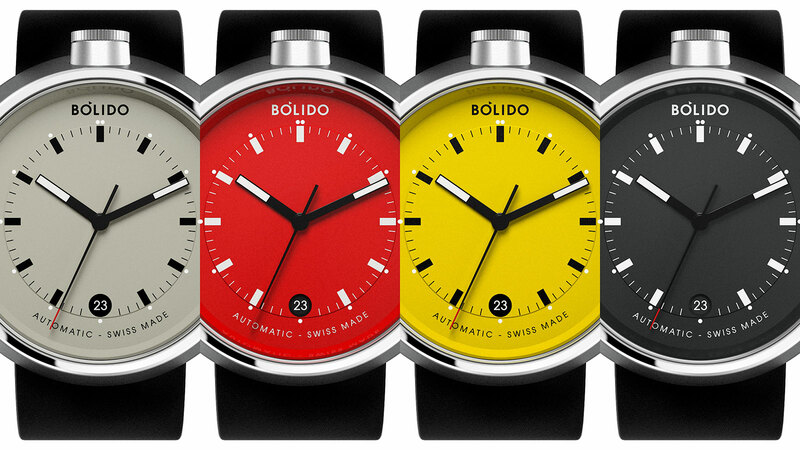 In the future, the Bolido will retail for US$650 in white or black, and US$690 for all other colours. Correction June 24, 2017: Retail price of the coloured dials is US$690, not US$650 as stated earlier. Having just made its debut on the Apple App Store, Luxglove is an online marketplace for pre-owned or vintage items, primarily watches, focused on South-East Asia.